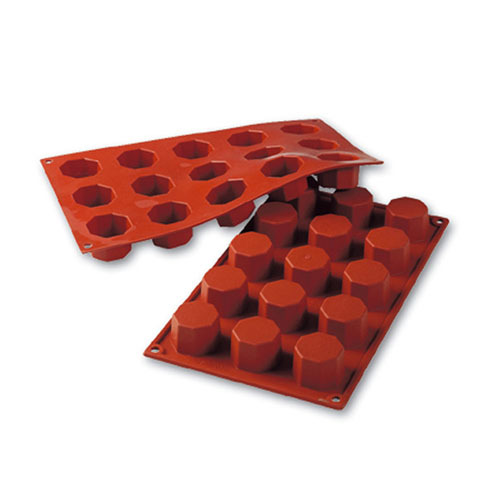 This Octagon Baking Mold features fifteen individual baking cavities, each with a one-ounce capacity. Molds are made of food-grade liquid silicone, resulting in baking pans that are soft and pliable, but also durable and strong, with a natural non-stick character. Silicone molds are easy to use, and convenient to clean and store. Requires little or no grease.